General Petro Chem fills an important role in the petrochemical construction industry by specializing in small to medium sized projects. 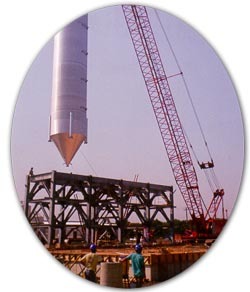 Our capabilities include all phases of construction: piping, structural, civil, insulation, rigging, instrumentation, and electrical. Regardless of job-size or complexity, we provide the highest quality workmanship at the lowest possible cost.